Conspiracy survives, indeed thrives, on innuendo. One cannot make light of innuendo. Clues are themselves an innuendo. The Warren Commission repeatedly said that it could find “no evidence” for conspiracy. I do not know how doctrinaire they were in their use of language, but in the real investigative process clues and evidence are far from the same thing. 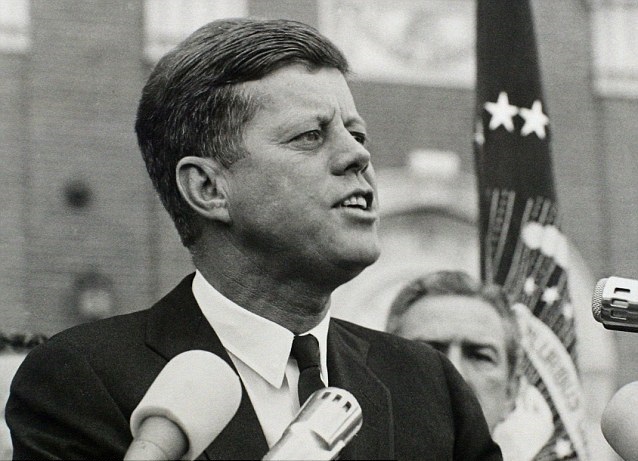 In the assassination of President John F. Kennedy, a series of “coincidences” clearly indicated conspiracy; and the Warren Commission admitted it, sometimes explicitly, sometimes implicitly. They actually did not seem shy about reference to the fact, but it is how they pursued these “coincidences” that often did not satisfy those who have read the report. These “coincidences” were never advanced far enough to even be declared clues and, of course, neither clues nor coincidences are evidence. So to say “there is no evidence” begs the question, how much did you look beyond the clues? Let’s look at a few here. 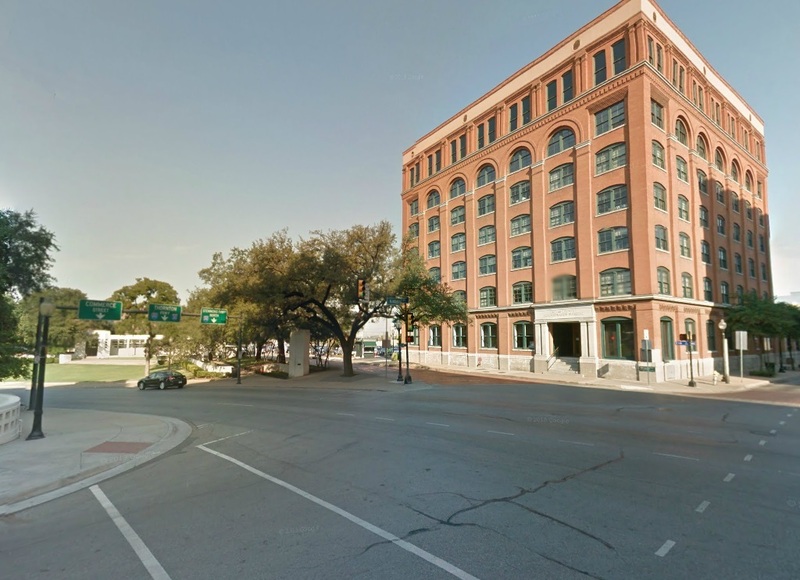 The Warren Commission detailed how Elm Street from the direction of the Texas School Book Depository was not only the best but the most ideal place for an assassin to strike. This seems far more than coincidence. We have already looked at the route here from Love Field, noting how only from the Texas School Book Depository could a mediocre gunman get a perfect line of sight on a target and be assured of striking his victim. 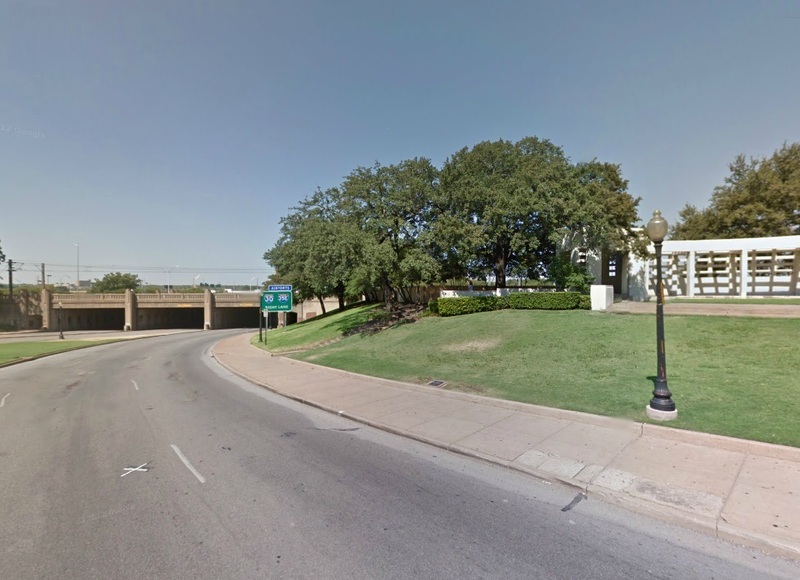 What the WCR fails to mention is that not only was Elm Street and the Depository ideal, it was the only practical location along the entire route from Love Field to the Trade Mart from which a mediocre gunman could strike. This seems like quite a coincidence, that is, that the assassin, Lee Harvey Oswald, who was most certainly a mediocre gunman, should achieve employment at such an ideal and only location. It seemed too far fetched to the Warren Commission too, and they had to look into just how Oswald achieved his employment there. People frequently enter the street to see where the fatal bullet struck. The line of sight from the 6th floor window is easy to appreciate from this angle. On October 14, 1963, his wife and their friend Ruth Paine hear of a job there through a mutual friend. When Ruth Paine returns home she called the Depository and spoke to the manager. When Oswald called later that evening, Ruth told him about the opportunity. He went there the next day and achieved employment, October 15. He began his job on October 16. When the Texas Employment Commission called that day to let him know they found a job for him as a baggage carrier, apparently it was too late and Oswald was usefully employed as a book checker. The luggage job paid $100 more per month. This would seem enticing. Yet Oswald didn’t switch jobs. This is curious, but the Warren Commission declared that “It is unlikely that he ever learned of this second opportunity.” This doesn’t sound like they truly investigated much, though they were able to uncover that the employment commission called Oswald at 10:30 a.m. on October 16 to tell him. They apparently didn’t get through or nobody knows and nobody asked. Certainly this angle should have been pursued. Oswald desperately needed money. He had one child and his wife was expecting their second in a few days. His unemployment benefits expired on the 8th. Yet on October 14, 1963, he rented his room at 1026 N. Beckley in Dallas, and did so under an assumed name — O.H Lee. It is from here, apparently, that Oswald called the Paine’s house in Irving, Texas, that night where his wife was living, and then was told of the Depository job. He received employment right away. The Trade Mart today. The luncheon guests awaited the president. Oswald kept a map with him, which was uncovered in his room after the assassination. It bore X’s on it along certain roads. The police asked him why, curious specifically as to why there was also an X at the School Book Depository location. He said it indicated places where he heard of jobs or tried to get one. Oswald said most of the marks should have been along Industrial Blvd. 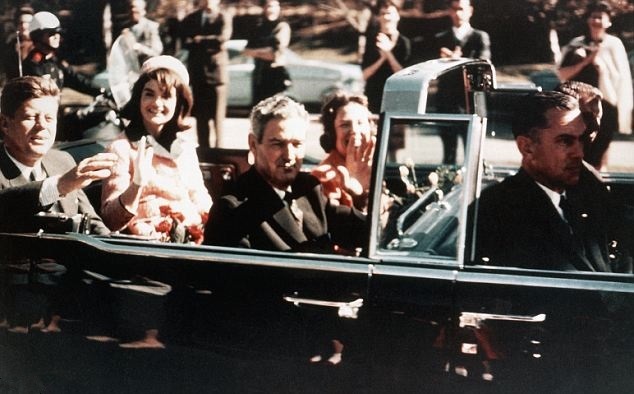 The press reported it otherwise, saying that Oswald had marked up the parade route, the implication being that he was trying to find the best location from which to shoot the president. The press (and indeed some police told them this) assertion is understandable considering how perfect the Texas School Book Depository was for a sniper. It had to take some honing and refining of the entire route to select it. It couldn’t be coincidence. Or was it? Today, we are left to accept that it was, that it was the most perfect and uncanny coincidence. Little has changed since then. A man stands on Elm looking at the X that marks where the limousine was when the second bullet struck the president. 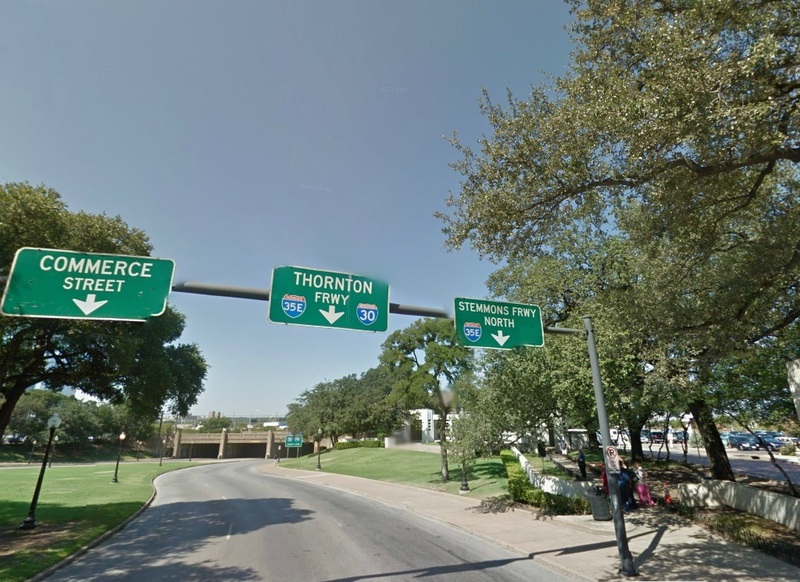 In support of coincidence, the Warren Commission noted that the motorcade route wasn’t even fixed until long after Lee Harvey Oswald had the job at the Depository. Although there were news articles as far back as September indicating President Kennedy was coming for a visit to Dallas, no indications of an itinerary were given. It wasn’t until November 4 that the Secret Service was even told of the visit. The responsible parties on the host committee (Texas) and White House were not told of the motorcade route until November 18, 1963, only 4 days before the president’s visit. However, the Warren Commission also noted that the planning of the trip was largely on the Texas side. This planning had begun much earlier. 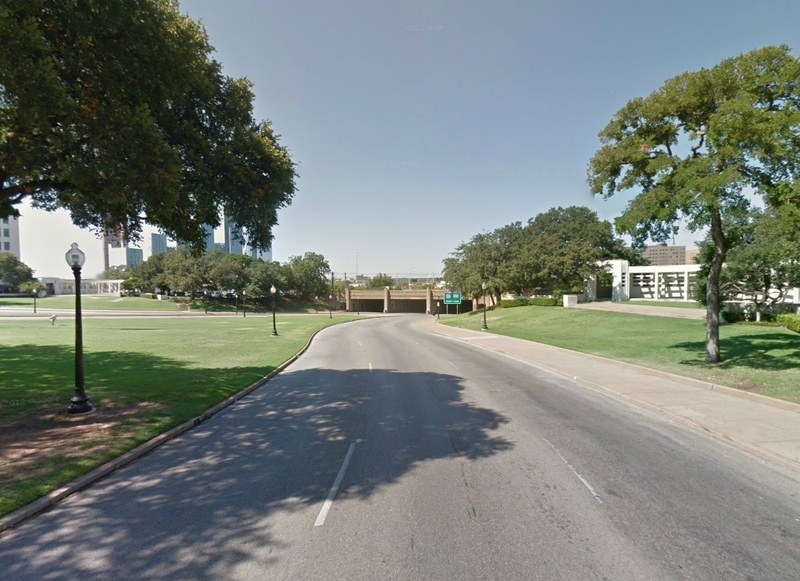 They also admitted that there was really only one ideal way for a motorcade to go from Love Field to the Trade Mart, and it was impossible that it could have bypassed the Depository since that was the only route through Dealey Plaza to get to the highway and from there to the Trade Mart. In essence, from this, we see that in Texas the plans began much earlier than November, and although 2 Secret Service men doped out the motorcade route it was largely an arbitrary route from Love Field to any location downtown and beyond the highway. All any group of potential local conspirators needed to know was that the destination would be beyond the old downtown area. The president’s visit had been agreed upon as early as June 5, 1963, and all the initial preparations were decided to be left to Texas. By October it was no secret within government circles the president was coming in November, and a motorcade from Love Field would automatically require passing under the Depository. The Warren Commission’s suspicions were justified. But how could they really probe further? If there was conspiracy, it would have to be on the Texas side, and it is highly unlikely the Warren Commission could even probe into it. Secret Service knew Dallas could be a problem. Adlai Stevenson had been spat on and hit on the head recently by anti-UN protestors led by General Edwin Walker. An ad had just been placed in The Dallas Morning News by a supposed fact finding committee that was actually just a couple of men. The ad had a black border, which is rather tasteless. Now just before the president’s arrival there was the infamous handbill “Wanted to Treason” being circulated along the motorcade’s route. There is no question that the radical General Edwin Walker had a hand in this sorry bit of political theater. All those associated with it had connections to him. Amazingly, Walker had been Oswald’s first target after he had gotten his Mannlicher Carcano rifle in the mail. This has always been a curious point. Curious. Curious that Oswald should strike at 2 opposite poles– Walker the right winger and Kennedy the left winger. . . . And needless to say many do not believe it. Even those who think that Oswald was the lone gunman in the Kennedy assassination find it hard to believe he tried to kill Walker months before. It’s a great plot line to think that in April, m0nths before Kennedy’s visit to Dallas, that General Walker staged his own attempted assassination in conspiracy with Oswald, guaranteeing Oswald that he would not be pursued or suspected. What would it take? Fire a bullet through a window and through a wall. 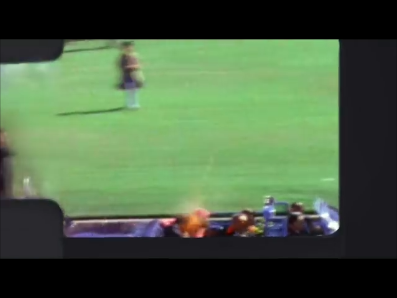 Walker need only claim he was sitting there and that the bullet missed his head by inches. Who is to say there was truly a sniper by his fence out back? The purpose of the plot, of course, would be to make an alibi. If Walker and his radical right wingers were staging an assassination, an attempted assassination on himself months before by the assassin is the perfect cover. If Oswald is caught and implicates Walker, all Walker and his conspirators need do is suddenly link Oswald to the April attack on him at his house. How could he, an intended victim who narrowly escaped, be in cahoots with the assassin? It is the perfect alibi. From the “patsy” theorizing point of view, Oswald makes perfect sense. He was a shadowy left winger. He was really a radical, a loner unto himself. On paper and history he was left, but currently his associations were right. He unquestionably had more friends on the right wing than the left. If Oswald and Walker were involved together, even through intermediates, any attempt Oswald might make to implicate Walker would never wash. It would be ludicrous on the face of it. Despite his right wing friends, a paper trail said lefty. But like all great conspiracy theories, strategy is easy and logistics is difficult. To believe this is to believe that Walker was already preparing himself the perfect alibi for being the instigation behind the president’s assassination. Burt Lancaster based his character of General James Matoon Scott from “Seven Days in May” on General Walker. 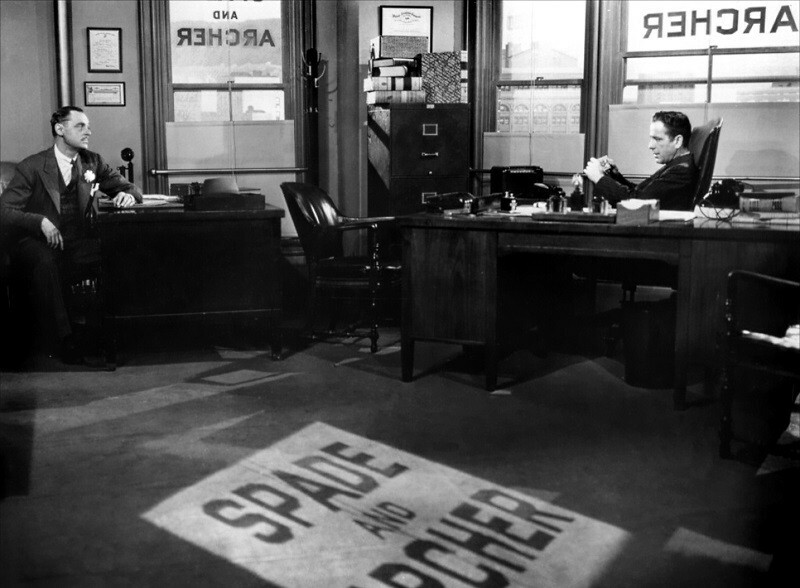 Sterling Hayden’s General Jack Ripper was also based on him in Dr. Strangelove. Though it is a perfect alibi, it also presupposes that Walker saw the need to provide himself with one 2 months before there was any certainty that the president would come soon. Texas Dems were certain a formal visit to Dallas was needed, but until June 5 none of them had even a rough date that it would be this year. Only Oswald’s wife is the source that her husband shot at Walker. Nevertheless, photos were found in his things that showed General Walker’s house from the back fence, even from a location near where the rifle would be fired a Walker. This all seems rather damning that Oswald was the attempted assassin. However, the pictures supposedly date to before Oswald even had ordered his rife. This would mean Oswald was setting up his logistics and trajectory before even having a rifle. Cart seems to come before the horse here. The police originally thought that the bullet was a 30.06. It was only later that the forensic man said the fragment recovered was similar to a 6.5 mm bullet, like that fired from Oswald’s Carcano. There are reasons why many do not believe Marina Oswald. According to her, Lee Harvey came back the night of the General Walker assassination white and out of breath. This sounds like a beginner assassin, which Oswald would have been. Yet by the time that Oswald shot Kennedy, he hadn’t had any more experience. How then could Oswald be so calm here? (After he is approached in the Depository cafeteria only minutes after the assassination, he is calm and cool.) This is an interesting contradiction. After a single shot fired in the night, he is white and flustered by it all. After 3 shots at the president, in a very public display, Oswald is calm. There are more than a few, of course, who do not believe that Oswald shot at General Walker on April 10, 1963. And, indeed, the witness to the two men “fleeing” that night was later shown pictures of Oswald. He denied that either looked like Oswald. We only have Marina Oswald’s word that her husband was the Walker shooter. But then the FEDs did find those pictures in Oswald’s residence that were taken from Walker’s back fence and from the approximate location of where the assassination bullet had been fired. It seemed that he had been the man and had taken careful consideration as to the best angle and trajectory. But was he the gunman? Or was his job to map out the attack? Did he simply walk away with a rifle and was never seen? Then those 2 men and the 2 cars might merely be another “coincidence.” Or was there somebody else? It is believable that a radical left winger would try to kill Walker, but then months later why kill a left winger? There is a compromise that is a little more logistically believable. If Walker was involved in some radical right winger plot to kill the president, or learned he might have been unknowingly ephemeral to it, he and his co-conspirators might have latched onto a botched and still-unexplained assassination attempt the April before to give himself an alibi. All they need do is accuse Oswald. Was Edwin Walker or his associates that clever? He had not shown any subtlety in his political views. He also did a pathetically poor job at covering his hand in the tactless “WANTED” handbill that was distributed throughout Dallas. How could he be so clever setting himself the perfect alibi and then botch his part in a tasteless handbill? It’s a great plot. I like it. It instinctively appeals. However, what are the logistics? They aren’t believable. The only thing that might be is that Walker seized the opportunity to convince others or himself that Oswald had fired at him the April before. Oswald’s actions after the presidential assassination show he had an escape route. He knew he had just gotten out of the Depository in time and would be the only employee missing when the police checked. He knew they would come for him. Why then did he leave incriminating photographs of Walker’s house to be found at his home? The only logical answer is that he knew he was going to escape and it didn’t matter what they discovered he had been up to for the last 6 months. In addition to this coincidence we have a Dallas police car honking in front of Oswald’s residence after he arrives after the assassination. Shortly thereafter he leaves. Jack Ruby, a man with many police contacts, later kills Oswald. The Warren Commission admitted millions saw it on TV and the whole scene suggests conspiracy. But in the end it all seemed coincidence. They could find no evidence Oswald was assisted or could have been assisted. You all know my opinions on conspiracy theory. If they exist they mean the investigator didn’t investigate or was thwarted. Nevertheless, criminal conspiracy is commonplace. It basically comes down to 2 or more agreeing to break the law and trying to bring it about. The Kennedy assassination is saturated with conspiracy theories. Culprits abound. Motives are bizarre. It’s all strategy and no logistics. No one can come up with any rational excuse why a cabal would want to assassinate the president and then do so in a most public manner as well as along a parade route. But that one point remains, and the Warren Commission admitted it causes people to consider conspiracy– Jack Ruby killed Lee Harvey Oswald, the suspected and arraigned assassin, about 2 days later before he was safe in county jail. Not only this, Ruby tried to get close to Oswald the very night of the assassination before there was any arraignment for the assassination. That’s pretty quick. Ruby knew at least 50 cops. (The Warren Commission thought that was a conservative estimate). Ruby knew how it worked. After something as big as this, the police would drag in all kinds of flotsam and jetsam. But Ruby is there and ready to assassinate Oswald hours after his arrest. He must have been sure they have the right man. The Warren Commission could not explain how Ruby got in the basement of the police building to shoot Oswald. They elected to believe the obvious that he came from the Western Union office direction along Main Street. (He had a receipt on him saying he had been there just minutes before at 11:17 a.m. and made a purchase.) This was despite the testimony of the police officer guarding that entrance saying he checked all people who passed and Ruby wasn’t one of them. 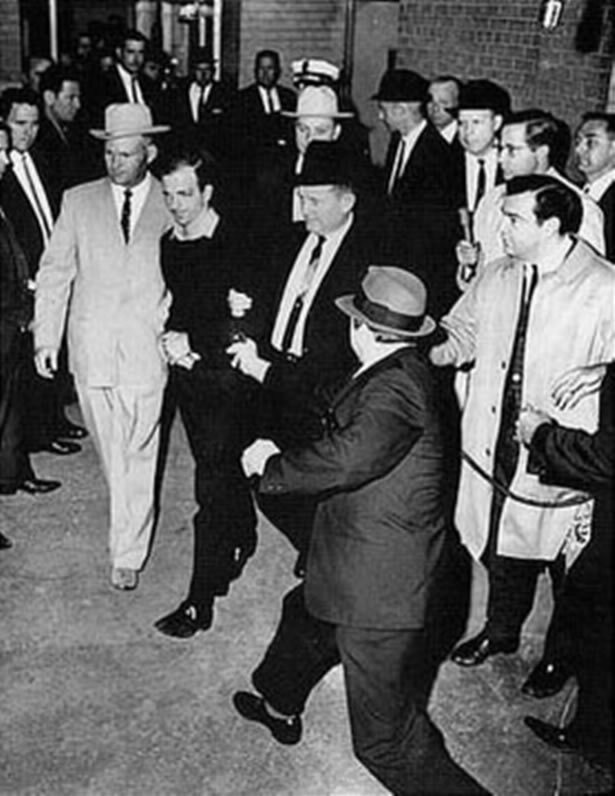 Oswald photographed by the hordes of press as he is moved back and forth through the hallways of the police station for questioning. Ruby’s ties with the police were well known. He gave them free coffee at his joint when they were on duty; deals when they weren’t. Small time stuff. Small time protection. But cops chatter. Intentionally? I don’t know. But even if a cop told him they got a suspect, this doesn’t equate to certainty that they got the right man. How would a mere cop on the beat know for sure? But the Warren Commission all too often says “No evidence could be found” for whatever they couldn’t explain or didn’t want to accept. That begs the question, what leaves evidence? For instance, in the case of Oswald leaving his rented room at 1026 North Beckley, the Warren Commission says there is no evidence he had an “escape” route planned out. Does that leave evidence? It’s now a part of the Oswald tour. Google Earth even lets you go inside! Evidence and clues are not the same thing. I think it highly unlikely that Oswald went to all the trouble he went to shoot the president from the Depository window and had no escape planned. All of Oswald’s actions are clues. Together they tell us he had a plan. His plan is not evident only because Oswald was intercepted and the plan was not carried out. Let us go back to that afternoon, November 22, 1963. It is a fact that around 1 p.m., about 30 minutes after the assassination and a few minutes after Oswald arrived at 1026 North Beckley, his boarding residence, that a Dallas police car passed in front of the residence and the landlady, Earlene Roberts, heard its horn honk several times. She saw that it stopped. It was not the patrol car she was familiar with. She did not recognize the occupants. She thought it was car 107 or 106. (In one FBI account a typo or the result of misspeaking listed it as car 207.) It is a fact that the car numbers she mentioned were at the Depository or no longer in use. Light and shadow make it difficult to read the number of the car. Earlene Roberts thought it was 106 or 107. Curiously, J.D. Tippit’s car was no. 10. The Warren Commission did not clarify what this meant. We do not know if these cars answered the calls to go to the Depository or if they were proven to be at the Depository at this precise time. It is curious that of all the Dallas police cars, the numbers she listed should be those that were at the Depository and not on some other routine duty. In any event, there was a Dallas police car that passed in front of 1026 North Beckley around 1 p.m. The driver honks several times. It then presses on. Shortly thereafter Oswald leaves. Earlene Roberts sees him standing by the bus stop, but it appears he does not take the bus. About 15 minutes later he is about a mile away seen crossing 10th Street about to step on the south side curb to walk along the sidewalk to Denver Street. Officer J.D. Tippit, Car No. 10, pulls up to the curb behind him. Oswald walks up and leans over, leaning arms on the door by the window. They chat. Oswald stands back. Tippit gets out casually and by the time he is by his front headlight (on the driver’s side of course) Oswald starts blasting with his .38 snub nose S&W. Oswald does not continue to Denver Street, but he is observed walking back to North Patton. Near the corner he unloads 4 empty shells and reloads. He walks to Jefferson, then walks through a gas station and ditches his gray jacket behind an old Doric building (later the Revival Temple) in the alley. Though no more witnesses after this, he apparently walks back to Jefferson and heads to the Texas Theatre, again in the opposite direction of Denver Street. Although this area has been renovated, the alley (marked by the yellow arrow) remains. Oswald did not walk down it to the Doric building but came to Jefferson and then went back up to ditch his jacket. Witnesses did not see him leave. This is all in the opposite direction of Denver Street were he had been heading. The rest is not of interest in this post. What is of interest is the fact that a police car cruised in front of Oswald’s residence, honks and leaves, and shortly thereafter Oswald leaves and apparently walks to a part of town nearby. He doesn’t run or hide from a police car when J.D. Tippit pulls up. Indeed he walks up and chats. Was it not the car he expected? The Warren Commission didn’t follow through to determine what police car was in the neighborhood. There was simply no evidence one had been on North Beckley. Because Oswald simply went to the Texas Theatre and sat there the Warren Commission must have deduced that he had no escape planned out. This most certainly fails to consider the shooting of J.D. Tippit minutes before, which was most certainly not preplanned. Oswald’s behavior thereafter is inconsistent. He walks down to Jefferson merely to walk back to the alley behind the Doric building, there to leave his jacket and walk back to Jefferson. Oswald’s route, with witness locations marked, from the Warren Commission report. Where was Oswald going initially? We have only this chain of events: a police car stopped in front of the house and honked several times, then moved on. Oswald soon leaves. He backtracks to North Patton. He makes no attempt to avoid Tippit. He shoots Tippit. He flees and leaves his jacket behind a building. He walks back down to Jefferson and enters the theater. He is gunned down in the basement of the police station by Jack Ruby less than two days later, a man who knew lots of police and whose exact entry into the police basement is not confirmed. Ruby is certain they had the right man. No efforts are made to trace who could have been the police officer/s on North Beckley at 1 p.m. November 22, or no officer responds to the efforts. Jack Ruby was suspiciously certain even before Oswald was arraigned that Dallas police had the right man. This, too, caused the Warren Commission to be suspicious as it indicated to all that there was some kind of conspiracy. But it should not be the fact that Ruby killed Oswald that should cause suspicion; it should be the fact that Ruby was certain the very night before the press conference. There he was already, ready to kill Oswald if he got the chance, and yet Oswald had not been charged or arraigned for Kennedy’s assassination. It was scuttlebutt. Newsmen had known he was the suspect. Certainly, once again, many average cops at the station knew, but for Ruby to take all this as proof is quite remarkable. Jack Ruby. The Warren Commission said there was “no evidence” he had been involved in a plot. We must therefore accept that they considered it coincidence that a police car honked in front of Oswald’s room before he quickly left, that Ruby had many police contacts, and that he got into the police station basement unobserved. But “there is no evidence” that Ruby acted in concert with others. Thus we must accept that he came to the Western Union, bought a money order for 25 bucks, with a time stamp receipt at 11:17 a.m. and somehow got into the police basement a block away from there unseen. The Warren Commission said that Ruby’s behavior before the assassination indicates “there is no evidence” that he was involved in a plot, but what exactly would indicate evidence? What does it look like to be in a plot? The horn honking police car is of far more interest than Ruby. And of even more interest than a police car honking its horn outside the assassin’s rooms is the fact the car could not be traced. There was, once again, “no evidence” that a police car was in that part of town and on that street at that time. But it most definitely could have been ascertained. A questioning of all officers should have been done. This would have revealed what officer was on North Beckley, stopped and honked his horn. There are many reasons why a cop might do this– perhaps he was stopped and trying to get a dog out of his way. But there is no excuse for not following through on this and determining the car and officer. It should not have proven too difficult. If all officers were asked, an officer clearly did not wish to remember. Tippit’s car on 10th street. At 12:54 p.m. that day he responded to his radio position call saying that he was at 8th and Lancaster. There was more than enough time to cruise past 1026 No. Beckley on his patrol and still be around 10th at 1:15 p.m. If this is not suggestive of conspiracy, then there is only one logical explanation. It was J.D. Tippit. His car was No 10. With glare and distance Earlene Roberts might have thought there was another number after the zero. He honked his horn, perhaps to get a dog out of his way or. . . .? He then drove off and within 15 minutes stopped Oswald on 10th Street. He is the only Dallas police officer who could never come forward to qualify the incident before North Beckley for the obvious reason he was dead. If one does not accept it was conspiracy, one must accept it was Tippit going about his beat. The Kennedy Assassination and Conspiracy Logistics. . .
Has anybody ever heard of Conspiracy Logistics? I don’t think so. I think I made up the term. In fact, there are no conspiracy logistics. There can be no conspiracy logistics. Why? Getting down to logistics– in other words investigation– either exposes a conspiracy or solves it. No more theory. If a conspiracy theory exists, it is a testament to the fact that no investigation has been done. . . . There seems to be one exception. When it comes to the assassination of President John F. Kennedy, I think it is time to wipe out all the theories— most are little more than urban legends anyway— and restart with logistics. It’s a great word. It comes from logic, and I have tried to impress time and time again that logic is universal. The Law of Cause and Effect is immutable. Nothing just happens. Motive goes hand-in-hand with human action. By analyzing actions we can open the door to the person’s motive. And that’s all logic is. It is merely a criterion— the conclusions we make must be supported by the reasons we give; our actions must be in response to our motives. Actions are in perpetual motion. Logic merely tells us if they are logical or illogical. Let’s start wading into the Kennedy assassination logistically. Logistically, what is the best way to shoot a moving target? Easily answered: when it’s in a straight line with you— i.e. approaching or receding away from you. When the target is moving across your field of vision, you must lead your shot. That takes timing and skill. When did Oswald fire (for the sake of argument we will maintain Oswald fired)? Logistically at the right time. 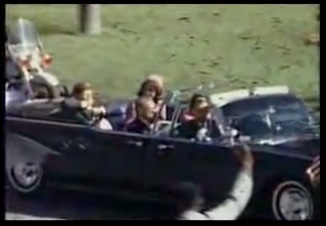 Kennedy’s motorcade was heading away from the Texas Schoolbook Depository. Oswald did not fire as Kennedy’s motorcade turned onto Elm Street right under him. He waited for an easy straight line-of-sight. That takes some planning aforethought, especially if you look at the entire route from Love Field. The motorcade always made right or left turns. There was no place for an assassin to be in a window without leaning out, exposing himself to all below, so he could hit a target coming on. The result would be that everybody would look up, see him, then duck. Chances of hitting his target and escaping are slim. If the assassin remained lurking in the window, he would have to lead his shot and try to hit his target. This takes a good marksman. Dealy Plaza showing the Depository and how Elm Street leads away at an angle from it. There is one exception. The Texas Schoolbook Depository. Here Elm Street leads away at an angle. All it required is that Oswald lean in the window corner, hidden from view, and aim at a steady target moving in a straight line from him. No one to see him in the motorcade because he is behind them and they are moving away. All eyes are watching the motorcade leave. Oswald obviously did not act on impulse. He didn’t grab a gun and take aim out the window for the first time. Oswald did not only select the right window, he selected the right and only building in the entire motorcade route from which he could easily hit a target in light-of-sight. Oswald thought of logistics. He selected everything carefully. He fired at the right time. Sadly, he succeeded. Obviously, Oswald also knew the limitations of his marksmanship. He was not a great marksman. In the military there are 3 classifications– Marksman, Sharpshooter, and Expert. He was only a Marksman, which basically most soldiers are. All of this hardly seems coincidental. It seems well thought out, all of it the product of taking into consideration that a mediocre gunman would be involved. 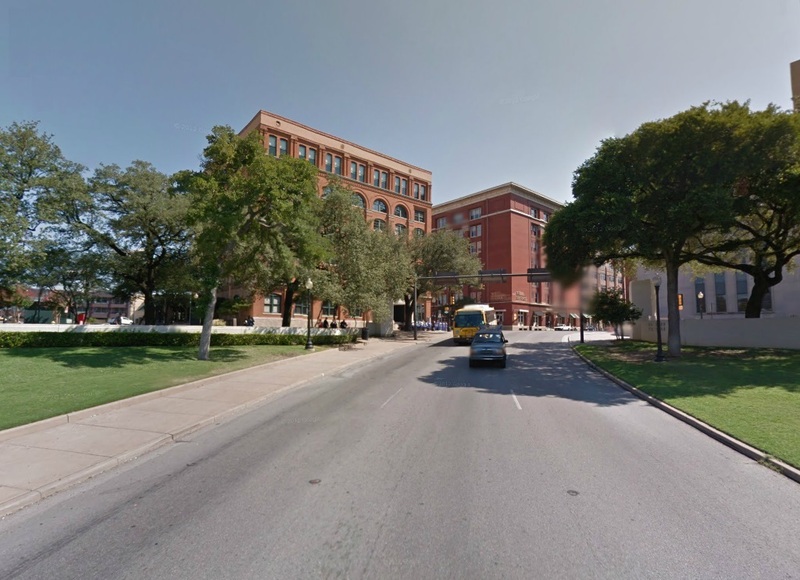 In preparation, Oswald must have carefully surveyed the entire motorcade route in advance in order to even consider getting a job at the Texas Schoolbook Depository. The other alternative is that Oswald got the job there and someone knew of his past leftwing actions and solicited him. The second possibility requires a few coincidences, but the first does not. Getting a job there would be the logical choice of a mediocre gunman who had logistically surveyed the route beforehand. Was Oswald capable of this logistic forethought? It would seem so. Apparently this was not his first assassination attempt. This is the case of the attempted assassination of General Edwin Walker, a radical right winger. Investigators uncovered much incriminating evidence linking Oswald to it. On April 10, 1963, the assassin lurked in the dead of night (9 p.m.) and fired at Walker through his home window. The bullet hit the window frame instead of the glass and Walker was saved. Much information was found in Oswald’s possession at home that showed he had visited Walker’s house, backyard, and had even taken pictures. One photo was taken from where the sniper would later fire. From an assassin’s point of view all this is indeed logical. He thought it all out. In the darkness of night who will see him? One shot. Flee in the night, transpose back into inky darkness. Take up routine life in the day and none are the wiser. If Oswald was this sniper, then he was indeed capable of careful, logistic thought when it came to attacking his victim and then saving his own hide by a preplanned escape route. On Elm, below the Depository. Too steep and angle here. Oswald waited. This presents us with a problem in trying to assess Oswald’s strategy at the Texas Schoolbook Depository. This was not a nighttime shooting. This was his own place of work. Broad daylight. One can dream this scenario up in their mind and say ‘I will smuggle a gun into my own place of work, in broad daylight, lean in the open window and take pot shots at the President of the United States.’ Logistically, though, how do you do that and think you won’t get caught? First X in the road marks where the first shot hit. Surely that can’t be it. As far as we know about the circumstances in the Depository, this appears to be it. This is amazing. The object of his attack is the president. This in itself would impress upon any would-be assassin that he must pre-plan carefully. In Oswald’s case it would be doubly important since this was his place of work. What is comes down to is that Oswald is lucky to get out of the building before it is closed by the police. He takes a bus, then a cab, then goes to his apartment, changes, takes a pistol and then leaves. He is next seen at North Patton and East 10th, not a great neighborhood in Dallas. Here Officer Tippit approaches him, and Oswald is far from cool and collected. He shoots Tippet and flees. Next he is seen before the Texas Theater and from there the rest is history. He is seized inside and taken to the police station. If we continue to take things logistically, we begin to get a nagging feeling that President Kennedy was indeed killed by a conspiracy. I mean this in the legal usage of the word. A criminal conspiracy is merely two or more people agreeing to break the law and trying to bring it to pass. Criminal conspiracy is a daily charge in court. It is a far cry from a conspiracy theory, many of which are only excuses for why their chief proponents can’t find evidence for their outlandish ideas (e.g. Obama educated on Mars). Conspiracy is seen mostly in comparing Oswald’s actions with those of his attempt on General Walker. Oswald had no car. One does not walk along the streets for miles with a rifle in hand. Someone had obviously provided him with a car in the Walker assassination attempt, or drove him, for two men were seen fleeing that scene in separate cars. Looking at the Depository from the X. Where was this second man now after the Kennedy assassination? Of course, no one would be dumb enough to be waiting in a car outside the Depository. Yet in leaving his apartment and taking a pistol, Oswald had most certainly armed himself for his escape. He must have gone to the area of North Patton to meet someone in order to escape the country. Instead he is intercepted by Tippit. He panics and shoots Tippit when confronted and then flees. Why would someone who had planned the Walker assassination attempt appropriately (in the dark of night), who also logistically sized up where he must strike his target along the long motorcade route from Love Field, take such a bold and hopeless move as to get a job at the best location from which to shoot the president, and then strike from his own place of work, and think he could merely get away with it by acting nonchalant? Without some offer of cover or help of escape, I don’t think Oswald would have, and his actions immediately after getting out of the Texas Schoolbook Depository smack of someone arming himself to meet a contact in order to be led out of the nation. Once again, after the attempted Edwin Walker assassination, two men were seen fleeing the next door church parking lot in separate cars. Two days before the attack, a neighbor saw two men around Walker’s home peeking in the windows. In support of the theory of a criminal conspiracy is the one act that has nagged at most Americans ever since. It is less than 48 hours after JFK is murdered that Oswald himself is murdered by Jack Ruby, a petty racketeer and nightclub owner. Yet more disturbing than this is the fact that Ruby impersonated a newspaperman the very night of the assassination and was there at the police station trying to get close to Oswald. He admitted later that he had a revolver with him at this time. This means that before Oswald was even publicly accused, charged and arraigned for the murder of President Kennedy, Ruby was certain he was guilty. This is interesting in itself. 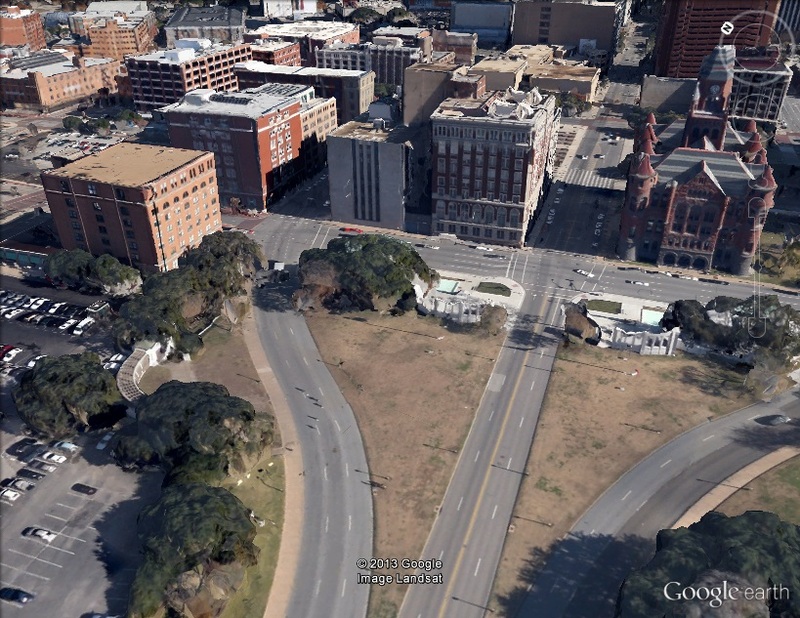 Second X and the Grassy Knoll. The theory is that Ruby was distraught and sought revenge. Yes, theory comes easy. But what are the logistics of someone, especially Ruby, right away trying to go kill Oswald? Ruby was no stranger to police routine and history. After something as big as a presidential assassination Ruby would know that a police dragnet would draw in loads of flotsam and jetsam. It’s true after every famous crime. Persons of interest are numerous and tagged by the police. Until the right one is identified and captured, they are not released. This is routine. In monumental crimes innocent people have been brought in and held before being released for lack of evidence. It is neither wrong nor high handed on the police’s part. Suspects are suspects. But Ruby is certain, that very night even before arraignment Ruby is certain Oswald is the right man and he is there to kill Oswald. Pretty precipitous. Pretty revealing as well. One’s actions tell us everything. One must act according to their motive. It is impossible to prevent this. Even madmen act in response to their motives, and from their actions we can not only see they are crazy but how they are crazy. But Ruby wasn’t crazy. From his actions, even before he was successful, we can see he believed that Oswald had to die, and die quickly, that very night. Last year the 50th anniversary of President Kennedy’s assassination brought much speculation to the forefront yet again. Even Secretary of State John Kerry expressed his view that a conspiracy had taken place. Not the overblown conspiracy theories. Not the grassy knoll stuff. But he speculated that there was some inspiration somewhere provided by someone to Lee Harvey Oswald that emboldened him to carry out a very risky assassination. Based on the logistics, I tend to agree. There was a serpent in the tree somewhere saying “thou shalt surely not die if thou eatest of the fruit of this tree.” Not another shooter. The Depository is proof that “he” or “they” (the sponsors) were dependent on a mediocre gunman who could only hit while in line-of-sight. If Oswald did not dope this out himself, there must have been manipulation, encouragement and perhaps even a proposed escape route offered by others. What needs to be done is to take the General Edwin Walker assassination attempt to heart and from there see where it leads us. The Mafia sure wasn’t after him. Nor was the CIA. Was it Cuba? Was it someone else?